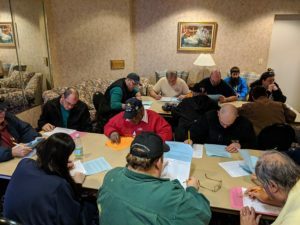 The Mount Tom Amateur Repeater Association (MTARA) has asked the PVVET to administer an examination at it’s annual ham fest located at the Castle Of Knights in Chicopee MA. Examinations with the PVVET are free of charge and we will be testing for all Amateur licenses. We require that those who are taking the exam will need to obtain a FCC Registration Number (FRN) and pre-register. Both which can be done here on this website. There will be no entry fee if you are taking the examination. Entry fees may apply if you wish to attend the hamfest. Please refer to our Exam Information for detailed information in what you need to bring. If you have any questions, please refer to the Frequently Asked Questions on our website. If you still have any questions, you can always contact us.